Colonel Brown Cambridge School in Dehradun is from one of the most prominent schools in India. The school was established in 1926 by Col. and Mrs. W.Brown. Colonel Brown Cambridge School (CBS) is located at beautiful scenic surroundings of Dehradun city and has received the affiliation from ICSE- Council of the Indian Certificate of Secondary Education, New Delhi. Colonel Brown Cambridge School is an English Medium boarding School and is open to all boys regardless of creed, background, or social status. The school is recognized as number one amongst educational Organizations in India. 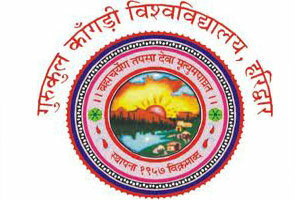 The students come from various parts of India for studying in CBS. Except India, this school attracts students from abroad. 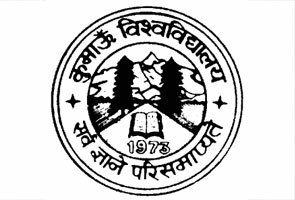 Due to its advance and unique educational service the school has become one of the supreme educational Institutes of India. The school not only emphasis on achievement in examination but its effort is to improve a sense of responsibility, initiative, discipline, reliability, self-sufficiency, purity, devotion, respect for seniors, prominence of sports and of team soul while at work or play. The school is worldly and admits boys from all parts of the world expressive all religions, creeds and castes. It offers no religious training, but secular prayers and congregational singing of worldly and nationalistic chants are a part of the daily morning assembly. The Col Brown Cambridge School (CBS) is got the recognition to the ICSE- Indian School Certificate Examination, New Delhi. The admission and registration procedure for Col Brown Cambridge School is truly fair and easy. The Admission to Col. Brown School is completed in the month of March or July every academic year on the basis of merit after directing a written exam. The school conducts an entrance exam for the student’s admission. The Col. Brown School has a right to expel a student from admission to the school, if he is admitted to the school morally on the basis of merit and endorsements of any type. As soon as the children steps inside the school gates their mental as well as the physical training has becomes the duty of the Colonel Brown Cambridge School. 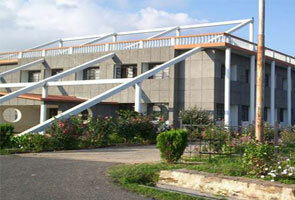 The school offers an excellent hostel facility to boys. CBS provide nine hostel buildings with spacious rooms, electric fans and electric lights. The school has huge mess including both vegetarian and non-vegetarian meals for the students. In addition with studies boys need also stay good at physical fitness. Colonel Brown Cambridge School (CBS) has a well-furnished Hospital with an attached separate Ward. Students are medically examined at the starting of each term. A well skilled Medical Physician visits the Hospital every day. Additional fees of Rs. 100 per term are charge for X-Rays, blood tests, and other tests for special medicines. Playground: The school believes in physical as well as mental of students so it offers a wide series of playgrounds where students can play Volley ball, Tennis, Basketball, Football, Badminton, Hockey, table tennis and Cricket etc. 1. The Tamarind Cinema: The Tamarind cinema was initiated on March 17th, 1993. Tamarind Cinema is a hexagonal outdoor theatre which has the capacity to hold approx. 1200 students. 2. The CBS School has a large library which offers a quiet where students can study. The library also include computer -internet facility. Beside sports and academics special hobby classes are also provided in the school for the well fare of students. The activities like Painting, Drama, Woodwork, Photography, theater, Music are also given prominence in the institute thus students can enhance their innate talent. If you have any queries regarding Contact Address of Col Brown Cambridge School (CBS) Dehradun for 2015 Admissions, last year Results and other important Info related Exam Dates 2015 academic year, you may contact at below listed Col Brown Cambridge School official contact details.